Let us help. what contact lenses do you wear? Alcon (formerly CIBA VISION) AIR OPTIX® Aqua (3 pack) - a monthly disposable contact lens that delivers exceptional vision and outstanding comfort and health. Air Optix Aqua breathable contact lenses are made from state-of-the-art material that allows up to 5 times more oxygen through the lens than traditional soft contact lenses - for healthy-looking and healthy-feeling eyes. 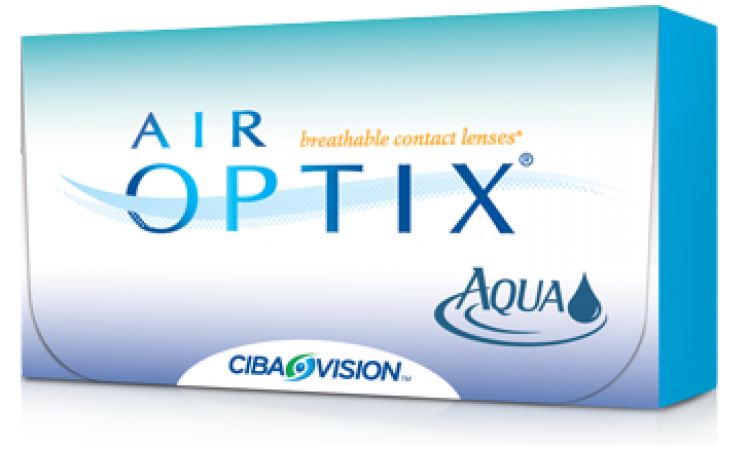 Air Optix Aqua contact lenses feature patented lens material that retains moisture for comfort throughout the day as well as superior deposit resistance for cleaner lenses. Can I claim my contact lenses on my health fund? Yes. If you have optical cover with your health fund, most Australian health funds will supply a rebate on prescription contact lenses. We’ll provide you with an itemised receipt, with health fund codes, that you can submit to your health fund for reimbursement. We use Australia Post Express to send our contact lenses so you’ll know they’re safe and will usually get to you within 24 hours after dispatching (capital cities). We charge a flat fee of $9.95 for orders up to $250 and free for orders over $250. There are no hidden costs and we do not charge a handling fee. Please note that for added security, a signature is required upon delivery. We offer a 100% money back guarantee (excluding postage). We use genuine, brand new contact lenses with long expiry dates. If for any reason, you wish to return your contact lenses, you can return to eContactLenses.com.au within 28 days of purchase and we will refund you the purchase price (as long as the boxes of contact lenses have not been tampered with – opened or written on). AMO Blink Contacts® Lubricating Eye Drops works with the eye's natural tears to keep them fe..
CooperVision Proclear® 1 Day (30 Pack) - A single use, daily disposable lens. Great for people w.. Complete RevitaLens® is the latest Multipurpose Disinfecting Contact Lens Solution from AMO that..
to receive offers, news, and new product announcements!